Get the tough protection and comfort you need to get through your workday with the Barstow Wedge Moc Soft Toe boot by Timberland PRO. Style number 89647214. Full grain leather upper. Constructed on TiTan last for superior fit. Mesh tongue lining with Agion antimicrobial treatment provides excellent odor control for a more comfortable foot environment. Goodyear-welt construction offers long-lasting durability. Dual-density Dynamic Anti-Fatigue Technology absorbs shock and returns energy at key zones of the foot while providing enhanced moisture management for all-day comfort. Open-cell PU footbed cover with Agion antimicrobial treatment offers breathable comfort and odor control. Lightweight EVA midsole provides supportive cushioning. 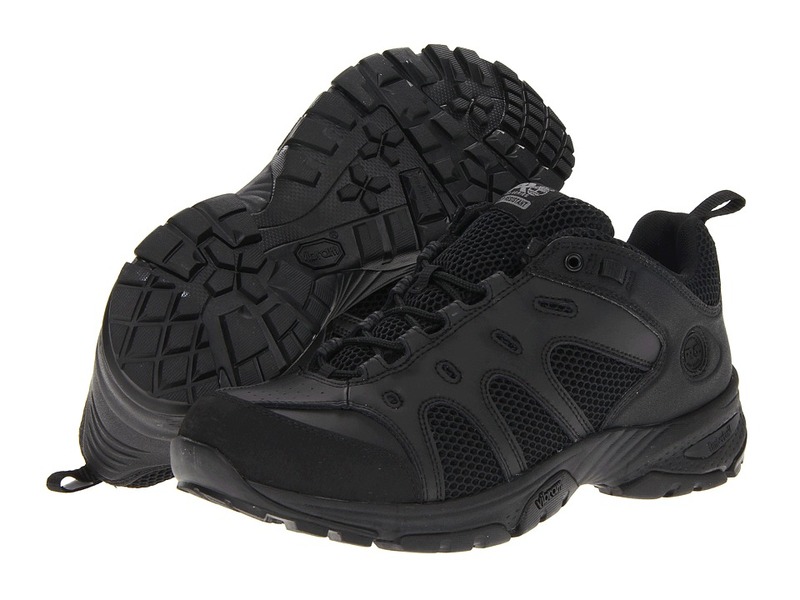 Durable rubber outsole is slip, oil and abrasion resistant. Soft toe meets ASTM F2412-11, ASTM F2413-11 and ASTM F2892-11 electrical hazard standards to provide secondary underfoot protection against the hazards of stepping on live electrical circuits, electrically energized conductors, parts, or apparatus. Imported. Measurements: Heel Height: 1 1 2 in Weight: 1 lb 13 oz Circumference: 13 in Shaft: 6 in Platform Height: 3 4 in Product measurements were taken using size 12, width D - Medium. Please note that measurements may vary by size. Weight of footwear is based on a single item, not a pair. Icy, snowy or winter worksite conditions? 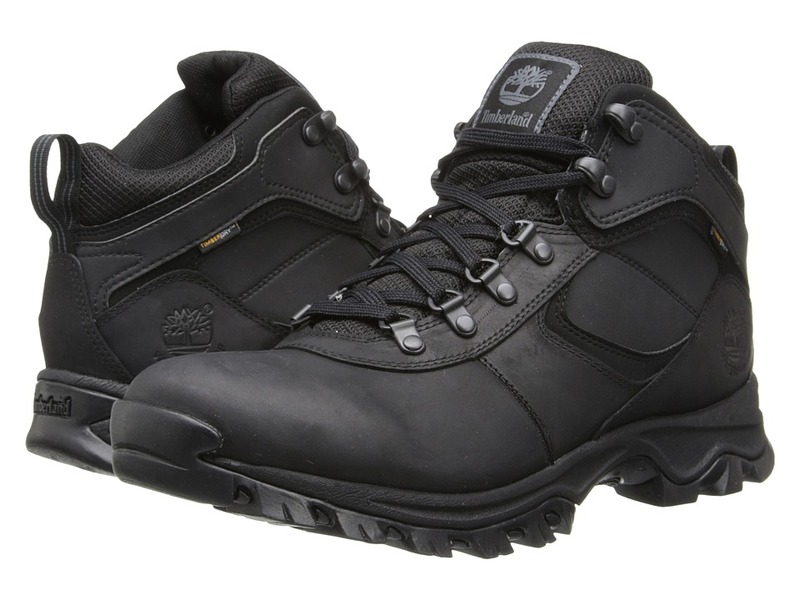 That~s no problem for the Boondock WP Insulated Comp Toe work boot from Timberland PRO. Style number 89628214. Premium, waterproof leather upper for extended durability. Waterproof membrane. Dual-purpose cast metal hardware promotes secure lacing. Protective composite safety toe shaped on a TiTAN last. Molded rubber toe bumper. Rigid external heel cup for increased lateral stability. 600g flame laminated Thermolite insulation for added warmth. Open-cell polyurethane footbed features Outlast Adaptive Comfort technology for breathable comfort and moisture management. Dual-density PU and thermal plastic urethane midsole provides lasting cushioned comfort. Fiberglass shank for increased structural support. Slip- and abrasion-resistant TPU rubber outsole features deep lugs for traction. Three-quarter Goodyear Welt cement heel construction. Low temperature formulation maximizes traction on cold surfaces (tested using SATRA TM144:2007 frosted rough ice surface) and extends flexibility in cold environments. Oil-resistant sole tested for volume swell using EN345 TMP ASTM fuel A 7 Diesel ISO 1817 liquid F for 22 hours and ASTM IRM903 and Fuel B for 46 hours. Nonmagnetic and nonmetallic composite safety toe resists corrosion and meets I/75 and C/75 impact compression and ASTM F2412-11, ASTM F2413-11, and ASTM F2892-11 electrical hazard standards. Measurements: Heel Height: 1 1 2 in Weight: 2 lbs 14 oz Circumference: 13 3 4 in Shaft: 9 in Platform Height: 1 in Product measurements were taken using size 12, width EE - Wide. Please note that measurements may vary by size. Weight of footwear is based on a single item, not a pair. Don~t let icy winter conditions get the best of you. 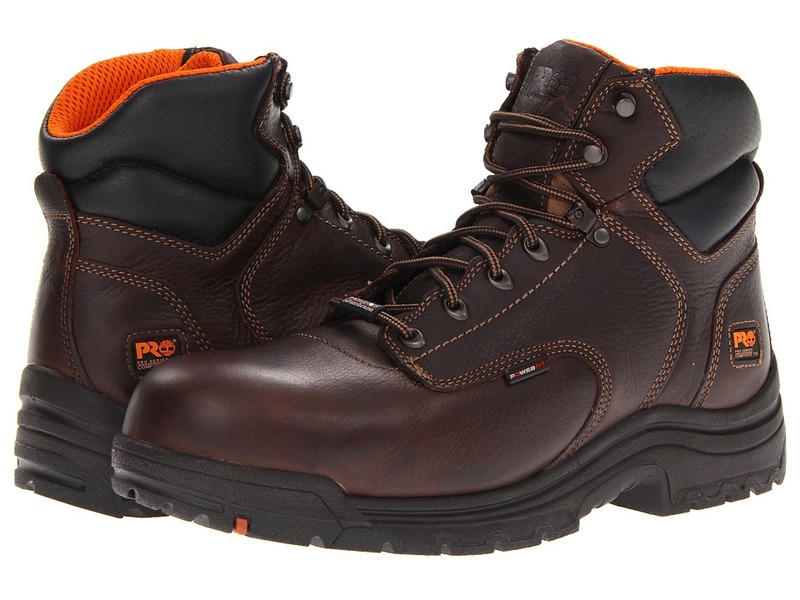 Lace into a cold-weather ready Timberland PRO work boot and get the job done! Style number 89635214. Premium, waterproof leather upper for extended durability. Waterproof membrane helps keep the elements out. Dual-purpose cast metal hardware promotes secure lacing. Molded Timberland PRO rubber toe bumper. Rigid external heel cup for increased lateral stability. Plush collar for extra comfort. 600g flame laminated Thermolite insulation for added warmth without the bulk. Contoured, open-cell polyurethane footbed features Outlast Adaptive Comfort technology for breathable comfort. Dual-density PU and thermal plastic urethane midsole provides lasting cushioned comfort. Fiberglass shank for increased structural support. Slip- and abrasion-resistant TPU rubber outsole features deep lugs for traction. Three-quarter Goodyear Welt cement heel construction. Imported. Low temperature formulation maximizes traction on cold surfaces (tested using SATRA TM144:2007 frosted rough ice surface) and extends flexibility in cold environments. Oil-resistant sole tested for volume swell using EN345 TMP ASTM fuel A 7 Diesel ISO 1817 liquid F for 22 hours and ASTM IRM903 and Fuel B for 46 hours. Soft toe meet ASTM F2412-11, ASTM F2413-11 and ASTM F2892-11 electrical hazard standards to provide secondary underfoot protection against the hazards of stepping on live electrical circuits, electrically energized conductors, parts, or apparatus. Measurements: Heel Height: 2 in Weight: 2 lbs 10 oz Circumference: 13 in Shaft: 8 1 2 in Platform Height: 1 in Product measurements were taken using size 11, width EE - Wide. Please note that measurements may vary by size. Weight of footwear is based on a single item, not a pair. When you~re on your feet all day you~ll need the Timberland PRO Renova Professional slip-on shoe for its ultimate cushioning and slip-resistant outsole to keep you comfortable and supported where you need it most. Premium full grain leather upper offers outstanding style and durability. 3M Scotchguard protector provides excellent stain resistance. Slip-on design with elastic stretch side panels for easy on and off. Features anti-microbial technology to control odors for a fresher, more comfortable foot environment. Molded PU footbed cradles the heel and offers reliable arch support with superior shock absorption and energy return. It also has a geometric design with a lighter weight construction that still provides superior structural support. Timberland PRO Anti-Fatigue technology features molded, inverted cones that offer all-day standing support, foot and leg support, and superior shock absorption. Anatomically shaped, oblique toe box allows forefoot to spread, reducing fatigue. Heel-to-toe rocker sole has an anatomically rounded heel that relieves the tough impact of a heel strike, reduces forefoot pressure, and controls proper joint motion. Non-marking SafeGrip slip-resistant outsole grips wet and dry surfaces. Measurements: Heel Height: 1 1 2 in Weight: 14 oz Platform Height: 1 4 in Product measurements were taken using size 9, width B - Medium. Please note that measurements may vary by size. Weight of footwear is based on a single item, not a pair. Stand firm and steady against the elements with the tough protection of the TiTAN&amp#174 6 Composite WP from Timberland PRO. Style number: 90665214. 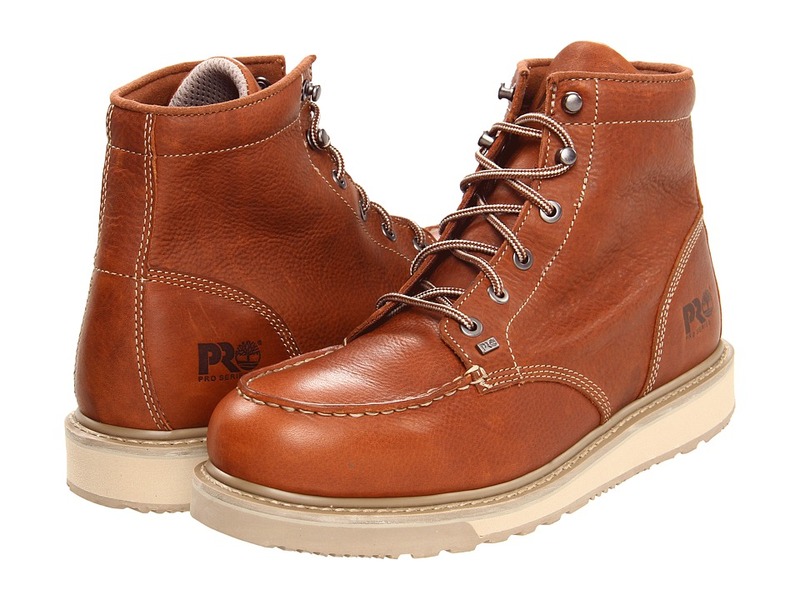 Premium waterproof full grain leather upper. 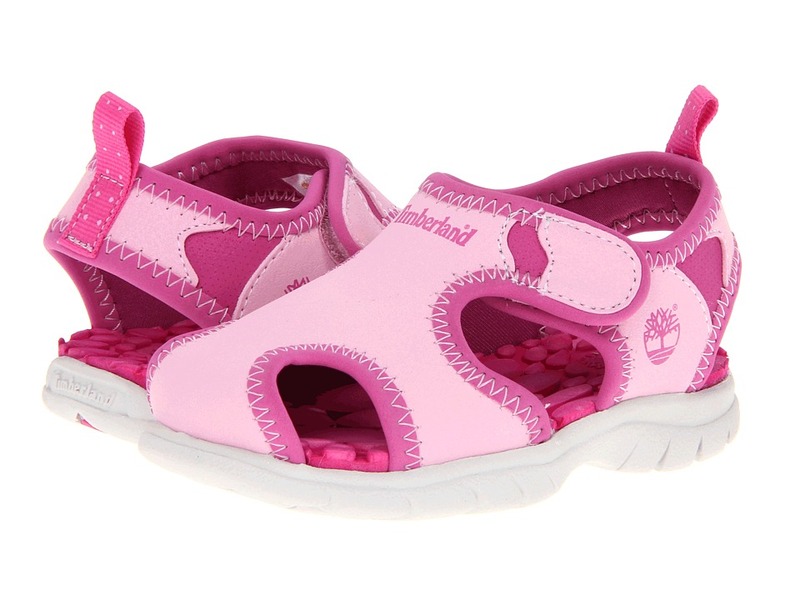 Features a waterproof membrane dry to keep feet dry. 360&amp#176 of lightweight comfort. Traditional lacing with cast metal top hooks for increased durability. 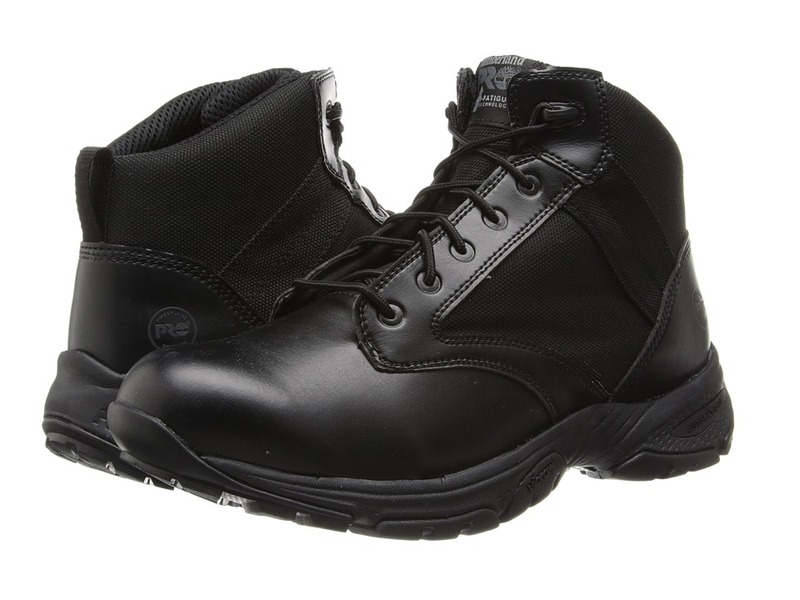 Composite safety toe is designed on a TITAN last for excellent protection and a roomier fit. Contoured tongue is engineered to relieve lace pressure for excellent comfort. Cement construction allows for better flexibility and easier break-in time. Moisture-channeling space mesh comfort lining with Agion antimicrobial treatment provides odor control and keeps feet dry and comfortable. Contoured open-cell PU footbed features Outlast Adaptive Comfort technology helps keep a breathable and drier foot environment. Nylon diffusion shank offers structural support and torsional rigidity. Molded PU midsole provides cushioning and excellent energy return. 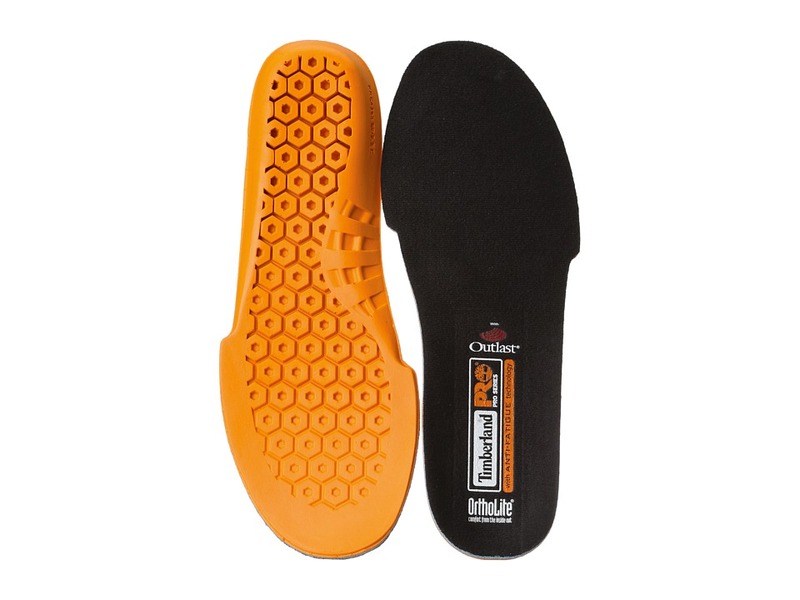 Timberland PRO series rubber outsole has an aggressive PU tread design that is slip, oil, and abrasion resistant. Composite toe meets I/75 and C/75 impact and compression ASTM F2412-11 and F2413-11 safety standards. Meets ASTM F2412-11, ASTM F2413-11 and ASTM F2892-11 electrical hazard standards to provide secondary underfoot protection against the hazards of stepping on live electrical circuits, electrically energized conductors, parts, or apparatus. Imported. Measurements: Heel Height: 1 1 2 in Weight: 2 lbs 3 oz Circumference: 15 in Shaft: 6 in Platform Height: 1 in Product measurements were taken using size 12, width EE. Please note that measurements may vary by size. Weight of footwear is based on a single item, not a pair. There is no time for slip-ups while you are on the job, and the Valor Tactical Oxford Soft Toe from Timberland PRO will make sure you stay steady and secure on your feet so you can stay focused on whatever challenges get thrown your way. Style number: 90667001. Premium Clarino&amp#8482 microfiber and 800-denier ballistic PU upper. Features PowerFit comfort system uses a combination of ergonomically-designed elements at key zones to supply movement and provide critical support - delivering maximum comfort all day long. Polycarbonate hardware provides lightweight, non-metallic durability. Padded top collar for more comfort while you~re in movement. Cement construction provides improved flexibility and reduced break-in time. Mesh lining with Agion treatment promotes a drier, healthier in-shoe environment. Contoured, open-cell PU footbed for all-day comfort. Cushioned Orthlolite footbed with Dynamic anti-fatigue technology that absorbs shock and returns energy at key zones of the foot for all-day comfort. Molded EVA midsole provides lightweight cushioned comfort. Nylon shank for added support. Vibram rubber outsole has superb traction with exceptional slip resistance, oil resistance, heat resistance and abrasion resistance. Imported. Measurements: Weight: 1 lb 1 oz Product measurements were taken using size 12, width D - Medium. Please note that measurements may vary by size. Weight of footwear is based on a single item, not a pair. This sweet, water-friendly sandal is a must-have look for serious summer fun! Quick-drying textile upper is great for splash zones. Hook-and-loop closure for an adjustable and secure fit. Breathable textile lining and an embossed EVA footbed. Non-marking rubber outsole for traction and all-day comfort. Imported. Measurements: Weight: 4 oz Product measurements were taken using size 8 Toddler, width M. Please note that measurements may vary by size. Weight of footwear is based on a single item, not a pair. This rugged, water-friendly sandal is a must-have look for serious summer fun! Quick-drying textile upper is great for splash zones. Hook-and-loop closure for an adjustable and secure fit. Breathable textile lining and an embossed EVA footbed. Non-marking rubber outsole for traction and all-day comfort. Imported. Measurements: Weight: 4 oz Product measurements were taken using size 9 Toddler, width M. Please note that measurements may vary by size. Weight of footwear is based on a single item, not a pair. The work day might be long, but your feet will never know it with the superior comfort and support of the Anti-Fatigue Technology Insole by Timberland PRO. OrthoLite x-40 high rebound open-cell foam is breathable, moisture-wicking and provides added antimicrobial protection for odor control, providing maximum resilience in high-impact applications. Outlast top cover provides temperature regulation and antimicrobial odor control. Anatomically-contoured footbed cradles the foot for maximum comfort and support. Dynamic arch design adapts to all foot shapes. Hand wash with warm water and mild detergent, and let air-dry. Imported. Baby it~s cold outside and there~s nothing better than looking good while keeping warm with the Timberland&amp#174 Mount Hope Mid boot. Premium leather and fabric upper with a waterproof membrane that keeps feet dry and comfortable. Leather is from a tannery rated Silver for its water, energy, and waste management practices. D-ring lace up closure for a secure and adjustable fit. Microfiber fur lining is made from 100 percent PET (recycled plastic bottles). 200 grams of PrimaLoft insulation. Aluminized Str&amp#246bel&amp#174 construction increases warmth by reflecting radiant heat back toward the foot. 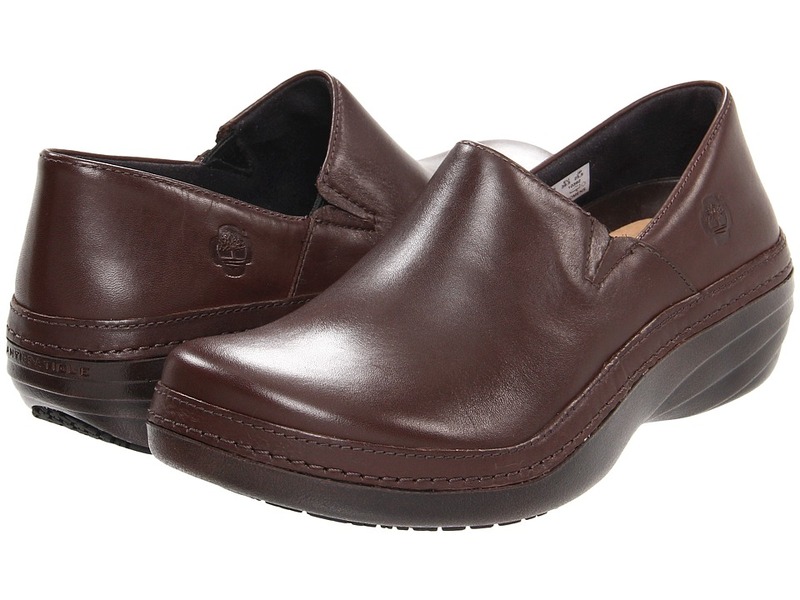 Anti-fatigue removable footbed provides all-day comfort and support. TPU shank for torsional rigidity. Gripstick&amp#8482 and Green Rubber&amp#8482 outsole is made with 42 percent recycled rubber. Imported. Measurements: Heel Height: 3 4 in Weight: 1 lb 6 oz Shaft: 9 1 2 in Platform Height: 1 2 in Product measurements were taken using size 8, width D - Wide. Please note that measurements may vary by size. Weight of footwear is based on a single item, not a pair. Your feet will never know the long day you~ve had with the superior comfort and support of the High-Rebound Cushion Insole by Timberland PRO. OrthoLite x-40 high rebound open-cell foam is breathable, moisture-wicking and provides added antimicrobial protection for odor control, providing maximum resilience in high-impact applications. Outlast top cover provides temperature regulation and antimicrobial odor control. Anatomically-contoured footbed cradles the foot for maximum comfort and support. Dynamic arch design adapts to all foot shapes. Hand wash with warm water and mild detergent, and let air-dry. Imported. 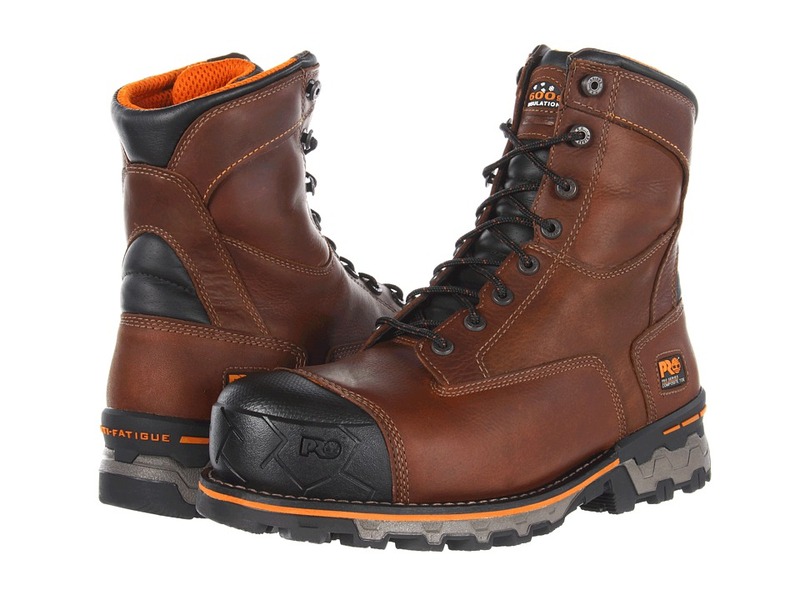 Stay safe and protected from on-the-job hazards with the durable Boondock WP 6 Comp Toe from Timberland PRO. Style number 92615214. Waterproof leather upper with waterproof membrane and Ever-Guard leather heel for abrasion resistance and dry foot environment. 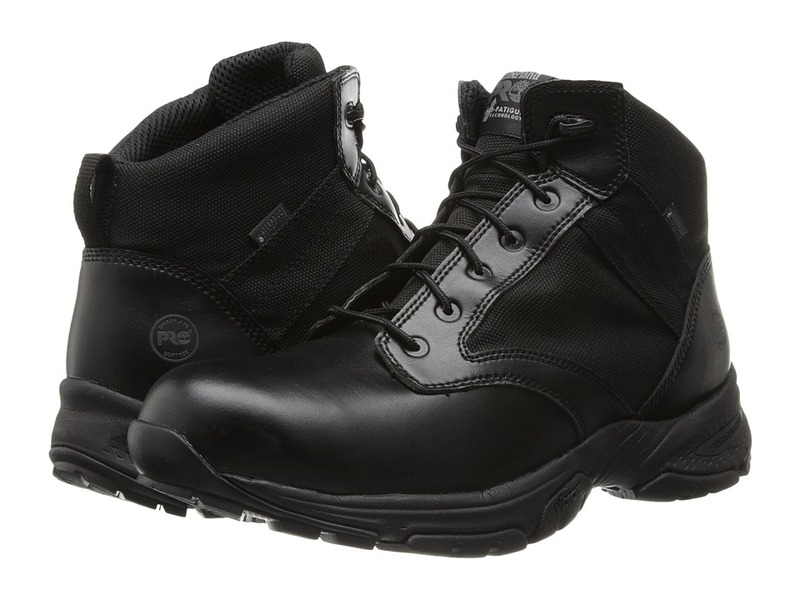 Features a molded Timberland PRO rubber toe protector for increased abrasion resistance and durability. Padded top collar and tongue for added comfort. 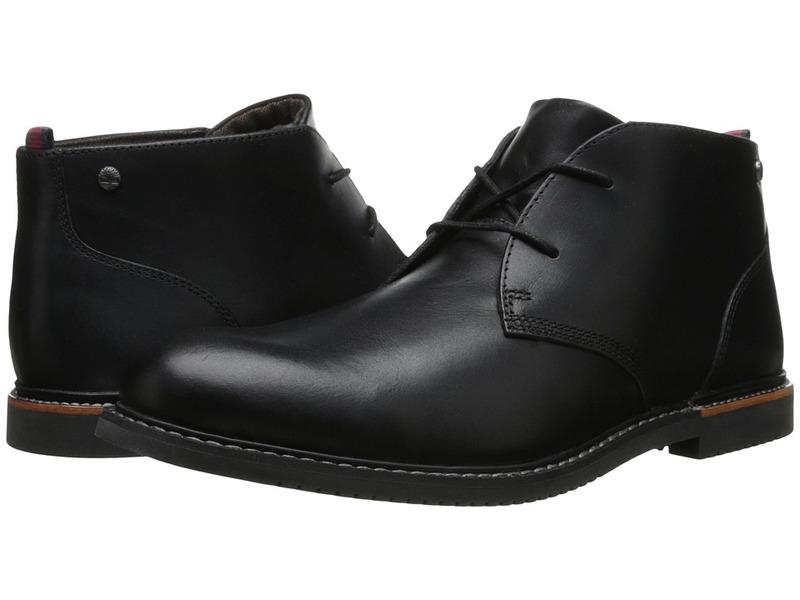 Combination three-quarter Goodyear welt and cement heel construction for excellent durability and flexibility. Rigid external heel cup for lateral stability. Dual-density dynamic Anti-Fatigue technology absorbs shock and returns energy at key zones of the foot. Fiberglass shank for structural support. Dual-density thermal plastic urethane (TPU) outsole features deep lugs for traction and is slip, oil and abrasion resistant. Nonmagnetic and nonmetallic composite safety toe resists corrosion and meets I/75 and C/75 impact compression and ASTM F2412-11, ASTM F2413-11, and ASTM F2892-11 electrical hazard standards. Composite safety toe shaped on TiTAN last for nonmetallic protection and a superior fit. Imported. Measurements: Weight: 2 lbs 8 oz Shaft: 6 1 2 in Product measurements were taken using size 11.5, width M. Please note that measurements may vary by size. Weight of footwear is based on a single item, not a pair. The Branston ESD Safety Toe Slip On by Timberland PRO keeps your feet safe and comfortable during and after your work day with its durable protection, supportive comfort, and reliable slip resistance. Style number 91694214. Durable distressed leather upper offers both comfort and abrasion resistance. PowerFit comfort system uses a combination of ergonomically designed elements at key zones to supply movement and provide critical support that delivers maximum comfort all day long. Alloy safety toe provides lightweight protection. Padded top collar provides added comfort. Cement construction for flexibility and shorter break-in time. 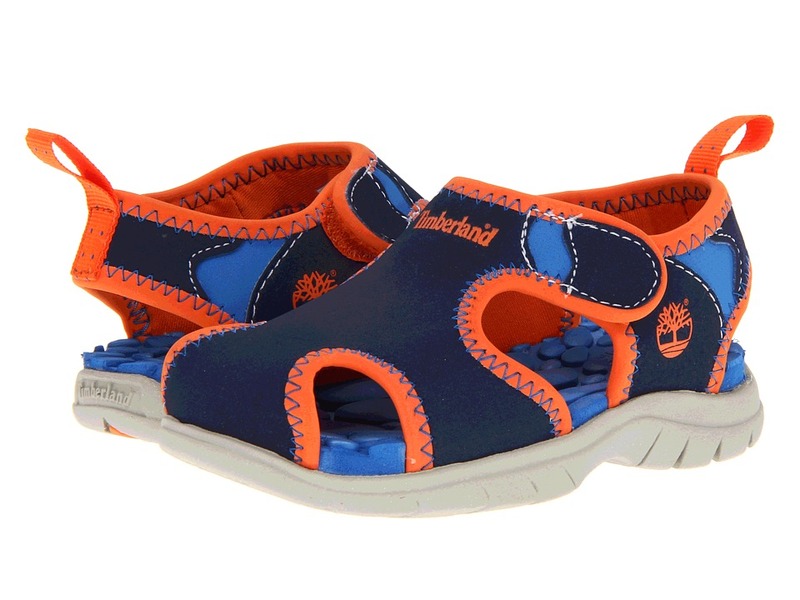 Cushioned footbed is Agion anitmicrobial treated for excellent odor control. Features Dynamic Anti-Fatigue Technology that absorbs shock and returns energy back to the foot. Conductive PU midsole for consistent static-dissipative performance. Fiberglass shank adds lightweight structural support. Nonmarking PU outsole is oil and slip resistant. Alloy safety toe meets I/75, C/75 impact and compression and ASTM F2412-11, ASTM F2413-11, and ASTM F2892-11 SD static-dissipative safety standards. Imported. Measurements: Heel Height: 1 1 4 in Weight: 1 lb 7 oz Product measurements were taken using size 12, width M. Please note that measurements may vary by size. Weight of footwear is based on a single item, not a pair. 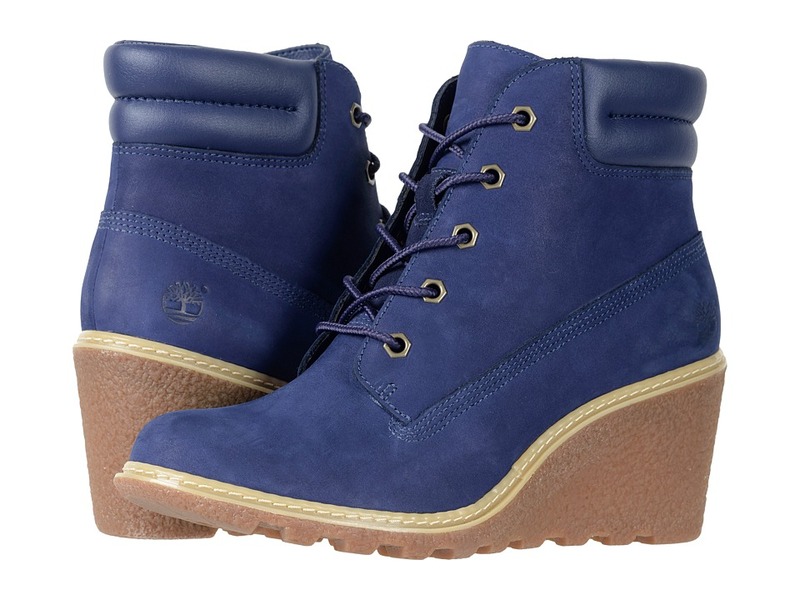 Keep it easy and classy in the Earthkeepers Brook Park Chukka from Timberland. Full grain leather upper. Lace-up closure for an adjustable and secure fit. 100 percent recycled PET herringbone lining provides comfort and breathability. 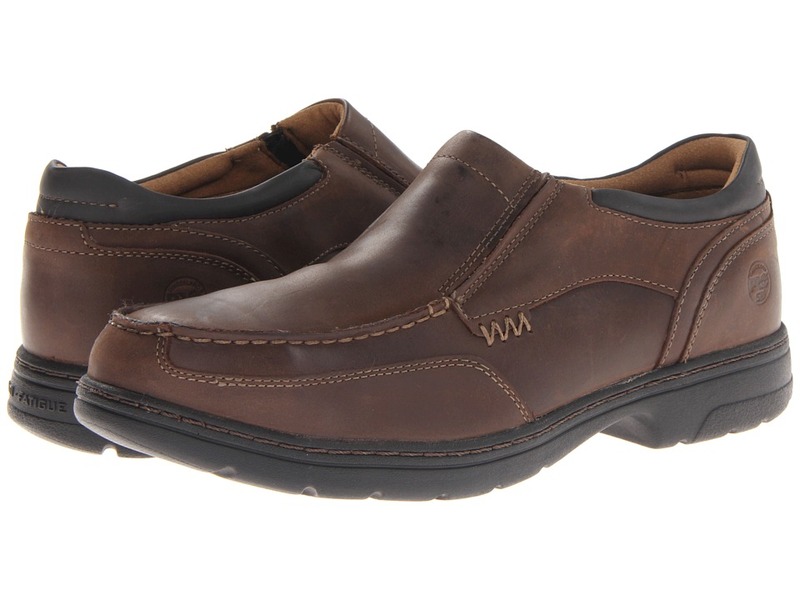 Leather-lined footbed for all-day cushioned comfort. Anti-fatigue comfort technology gives you an extra push to get through the day. Green Rubber outsole with an L7 lug design features multi-directional leading edges with beveled lug sidewalls for superior traction on any terrain. Imported. Measurements: Heel Height: 3 4 in Weight: 1 lb Shaft: 4 in Platform Height: 1 2 in Product measurements were taken using size 9, width D - Medium. Please note that measurements may vary by size. Weight of footwear is based on a single item, not a pair. The next time you hit the trails, make sure you~re fully comforted by the Earthkeepers&amp#174 Mt. 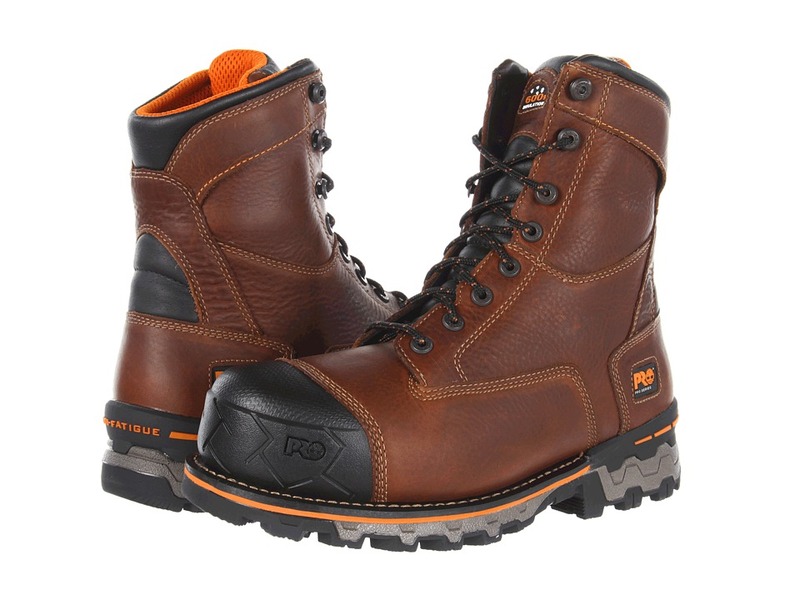 Maddsen Mid Waterproof boot. 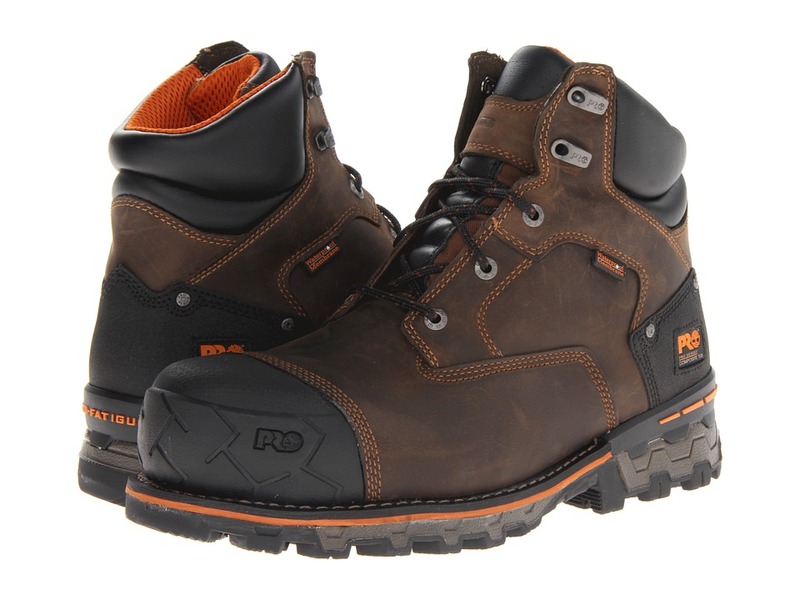 Full grain waterproof leather upper features a waterproof membrane added to ensure dry feet through puddles and streams. Lace-up closure for an adjustable fit. Fully gusseted tongue provides comfort and keeps debris out. Exclusive anti-fatigue comfort technology provides all-day comfort and support. Internal TPU shank for torsional rigidity. Compression-molded EVA midsole provides lightweight cushioning and shock absorption for all-day comfort. Green Rubber&amp#8482 outsole made from 42 percent recycled rubber is designed for traction. 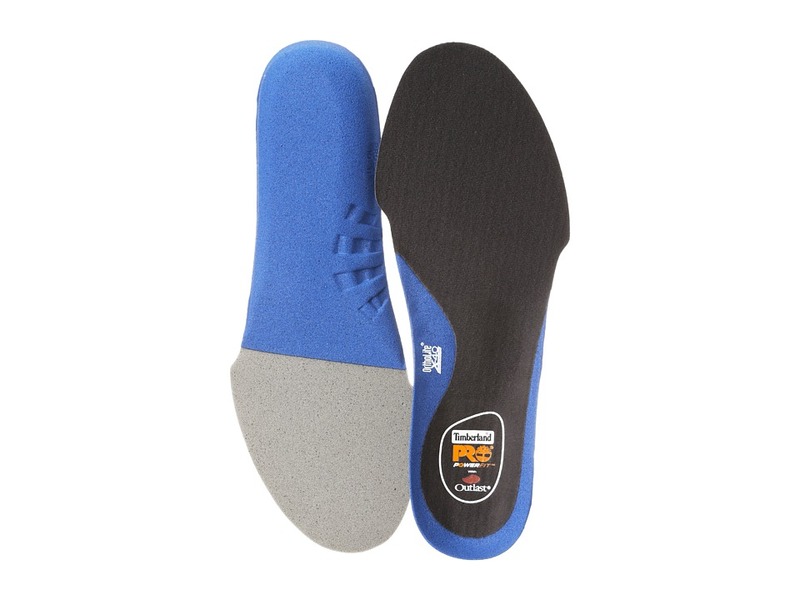 B.S.F.P.&amp#8482 motion efficiency system active rubber lug outsole for excellent traction. Imported. Measurements: Heel Height: 1 1 2 in Weight: 1 lb 3 oz Shaft: 5 in Platform Height: 1 in Product measurements were taken using size 12, width D - Medium. Please note that measurements may vary by size. Weight of footwear is based on a single item, not a pair. 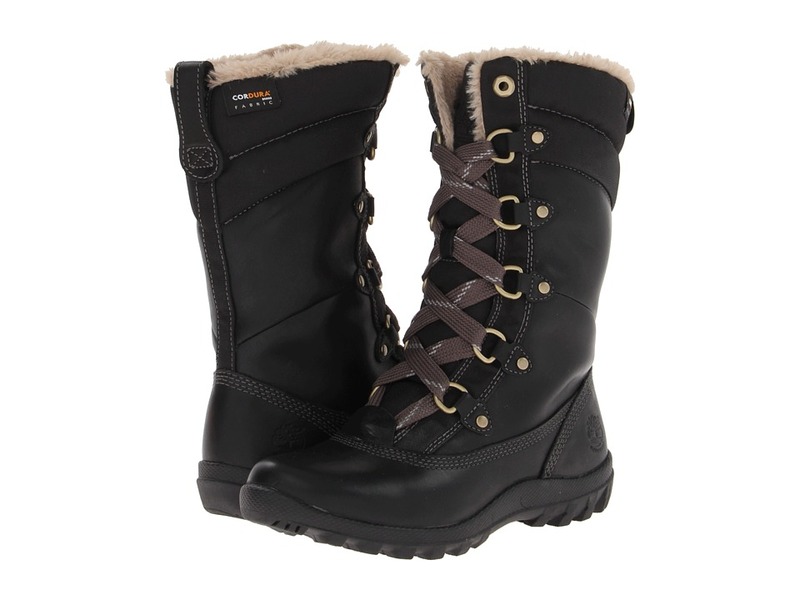 Fashion meets an outdoor favorite with the Earthkeepers&amp#174 Armston 6 Boot. Premium nubuck leather for comfort, durability and abrasion resistance. Classic lace-up closure for a secure fit. Rustproof hardware for durability. Padded collar for a comfortable, personalized fit. Breathable mesh lining. Natural latex footbed for support. Stylish wedge midsole. Rubber lug outsole for superior traction. Imported. Measurements: Heel Height: 2 1 2 in Weight: 15 oz Shaft: 5 in Platform Height: 1 2 in Product measurements were taken using size 8.5, width B - Medium. Please note that measurements may vary by size. Weight of footwear is based on a single item, not a pair. The supportive comfort of the Valor Tactical 5 Soft Toe boot from Timberland PRO makes sure you never have to slow down during those long hours on the job. Style number: 92634001. Premium Raptek microfiber and 800-denier ballistic PU upper. Features Scotchgard&amp#8482 protector by 3M for stain resistance. Lace-up system with metal-detector friendly hardware. Padded top collar for more comfort while you~re in movement. Polishable smooth forefoot for added durability. Cement construction provides improved flexibility and reduced break-in time. Mesh lining with Agion treatment promotes a drier, healthier in-shoe environment. Cushioned footbed with Dynamic anti-fatigue technology that absorbs shock and returns energy at key zones of the foot for all-day comfort. Lightweight, molded EVA midsole provides excellent underfoot comfort and shock absorption. Nylon shank for added structural support. Vibram rubber outsole has superb traction with exceptional slip resistance, oil resistance, heat resistance and abrasion resistance. Meets ASTM F2412-11, ASTM F2413-11 and ASTM F2892-11 electrical hazard standards to provide secondary underfoot protection against the hazards of stepping on live electrical circuits, electrically energized conductors, parts, or apparatus. Imported. Measurements: Heel Height: 1 1 2 in Weight: 1 lb 1 oz Shaft: 5 1 2 in Product measurements were taken using size 11, width E - Wide. Please note that measurements may vary by size. Weight of footwear is based on a single item, not a pair.